We are specialist professional fine art and photo printers, based in Greenwich, South East London, a stone’s throw away from Greenwich Market, Cutty Sark and close to Canary Wharf, offering high quality digital fine art and photo printing also known as Giclée printing. Giclée is ideal for high quality, limited edition print runs in large or small format, and to any specification you need. We offer a variety of professional digital photographic and imaging services ensuring you get the best out of your images. We work with you on your vision and help you achieve the results you want. We strive for a personal, friendly and professional service. Customer satisfaction is our number one goal. We offer a 10% student discount on all our services. We specialise in large format digital photographic and fine art printing (high quality inkjet printing made with pigment based inks), using the latest EPSON large format printers, especially the SureColor SC-P9000 and the Stylus Pro 9900 making use of the EPSON Ultrachrome HDX and HDR archival pigment inks on a selection of premium quality archival fine art papers, photo papers and canvases at competitive prices. We can print single pages on demand, as and when needed and we don’t ask for minimum orders. All our fine art papers, photo papers and canvasses are carefully selected and thoroughly tested for maximum choice, offering best quality to the final print. 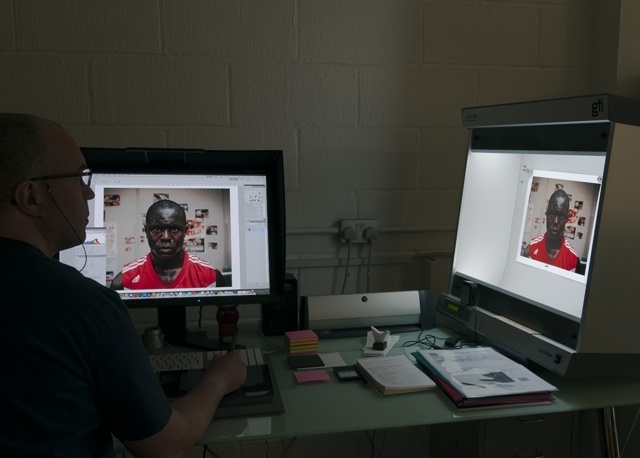 All our prints are produced on colour calibrated equipment with a fully managed colour workflow. We print on a variety of papers as well as canvas at up to 44 inches/111.8 cm wide and 40 feet/12 meters long. ISO paper sizes (A and B sizes, A5 / A4 / A3 / A2 / A1 / A0 / B0) are for guide only. All prints are custom printed to your exact size, as and when needed and we don’t ask for minimum orders. We do not charge a setup fee (only if the artworks have been photographed or scanned by us), we do not charge extra for non standard sizes and for sizes not listed we do not charge the same prize as the next size up. Sizes not listed are priced pro-rata by the total square cm required. Prices are calculated based on total paper size, including borders. For large print runs or editions please contact us for a quote. Files should be delivered at 300 dpi at final print size, saved in AdobeRGB, ProPhoto RGB or sRGB colour spaces. Deliver the file as a flat TIFF, PSD or JPEG. Larger prints are generally fine to print at lower resolution than 300 dpi, with excellent results at resolutions as low as 200 dpi. Resolution higher than 300 dpi might be necessary for small prints with extremely fine detail. Please call us on 0208 858 3076 or email us if you have any questions about file preparation. Colour profiles for all our papers are available through us and provide extremely precise soft proofing on calibrated monitors. Please note: these profiles are only for printing on our printers. Please call us on 0208 858 3076 or email us to request any of our profiles. All canvas prints include a 6cm border for stretching. Black and White portfolio and exhibition prints on specially selected Hahnemühle and Canson Infinity papers. Stunning monochrome pigment prints that are more archival and fade-resistant than their colour counterparts, qualities that are appreciated and valued by photographers, galleries, museums and collectors. Do you want absolute control over your portfolio or exhibition prints whatever the size or format? Then we’re here to help you with your project without losing control. See High quality archival pigment printing (Giclée) on fine art and photo papers section for more info. High resolution Hasselblad/Imacon Flextight scanning service. We scan from film (up to 5in x 4in). See our charges here. All films are scanned at 16-bit depth to allow more post-processing flexibility. We do not use any batch scan processes or dust and scratch filters. Scan prices include basic colour corrections and reasonable dust spotting. Excessive retouching by quotation. Lead time depends on the size of the job. 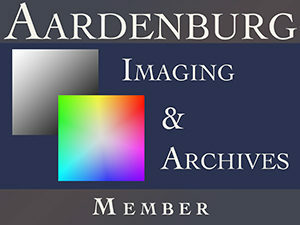 Output to Adobe RGB or sRGB, TIFF format files, other colour spaces and formats available on request. We can remove dust, scratches, blemishes and much more… All work is quoted on an individual basis. Please call us on 0208 858 3076 or email us to discuss your requirements. We can also produce Giclée prints from original artworks. 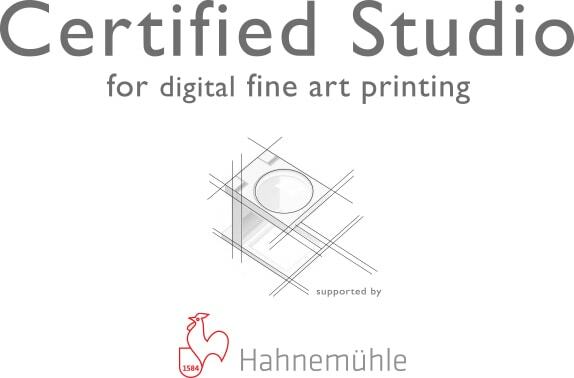 The process involves photographing or scanning the artwork producing a high quality digital file that can be colour corrected as required to match the original artwork as closely as possible. All photography is done on an easel so artworks must be rigid enough to stay flat. Also, all artwork photography and scanning is being done at our studio in Greenwich, South East London. All work is quoted on an individual basis. Printed proofs are charged extra, depending on their size. Turnaround time would be 7-10 business days from the time of order. Please call us on 0208 858 3076 or email us to discuss your requirements.